PROPERTY DESCRIPTION A split level one-bedroom property dating from the Georgian era, forming part of a cluster of outbuildings associated with Higham Lodge. Enjoying a distinctive open plan aspect, the property offers notable features including redbrick fireplace with inset wood burning stove, 8ft ceiling heights, fitted kitchen with stable door enjoys a westerly rear aspect overlooking gardens. 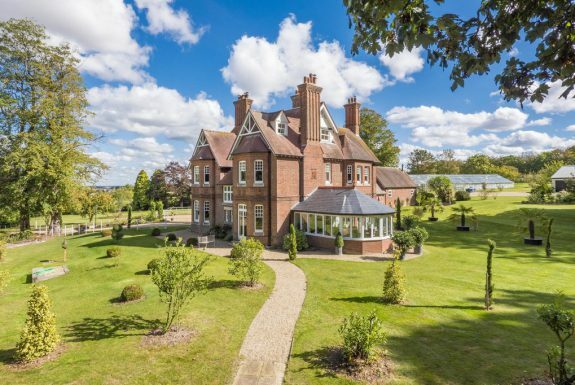 In addition to the principal accommodation, the potential tenant is afforded access to extensive wooded grounds, water garden, walking over Higham race course and further paths and established woodland walks throughout this unique lifestyle opportunity. AVAILABLE MID MAY 2019. INNER HALL: With hatch to loft (unavailable as part of a tenancy) and door to storeroom with useful fitted shelving. KITCHEN/DINING ROOM: 15' 5" x 8' 11" (4.70m x 2.73m) Fitted with a matching range of soft-close base and wall units with chrome handles, wood effect worktops over and tiling above. Stainless steel single sink unit with vegetable drainer to side, mixer taps over and fitted appliances including a Lamar oven with four-ring ceramic hob over and extractor hood above, slimline dishwasher, washing machine, fridge/freezer. The range of fitted base units are comprised of soft-close deep pan drawers, shelving units and cutlery drawers. Ample space for a breakfast table, LED spotlights, window to front and stable door to outside. BEDROOM: 14' 10" x 13' 7" (4.54m x 4.16m) Enjoying 8ft ceiling heights and window to rear overlooking west facing gardens. FAMILY BATHROOM: 8' 9" x 6' 3" (2.69m x 1.92m) Partly tiled and fitted with ceramic WC, pedestal wash hand basin, bath with chrome shower attachment over and wall-mounted heated towel rail. Outside Set within a number of ancillary cottages to Higham Lodge, this unique opportunity is being offered with benefits of communal grounds, extensive woodland, a water garden and also Higham racecourse. 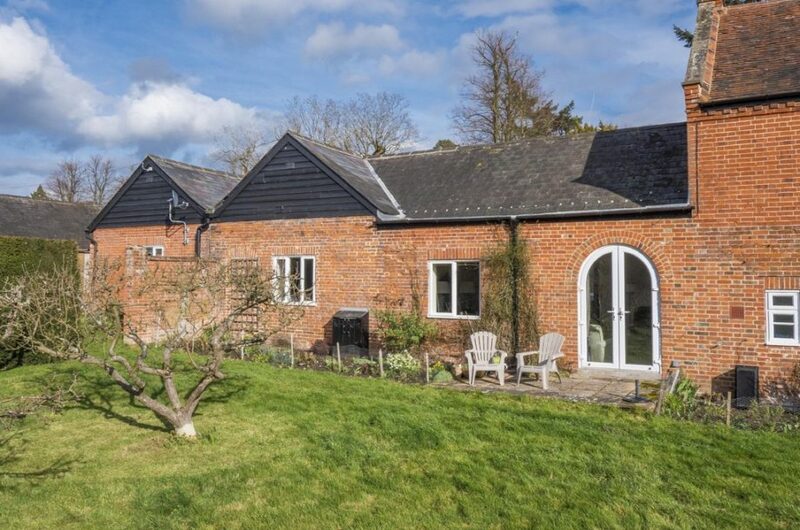 Home to a wealth of oak trees, further British native species and diverse range of fruit trees, this idyllic setting is a particularly rare benefit to be offered in the regional lettings market. AGENTS NOTE: Heating and hot water via biomass communal system is charged at £50 per calendar month. Gardening and access to communal grounds is charged at £20 per calendar month. Both of these points are non-negotiable additions to the advertised lettings price. TENURE: A tenancy is available on an assured short hold basis for a minimum of 12 months. The tenant will be responsible for all outgoings including water rates and council tax. 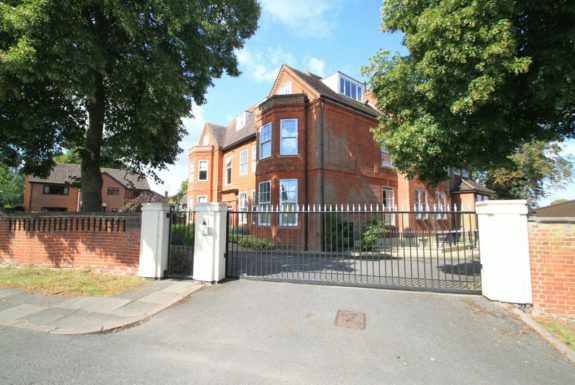 References will be required together with a substantial secure deposit of one and a half months rent. Prospective tenants will be required to pay a non-refundable administration fee of £200.00 plus VAT (£240.00) for the first applicant and £90.00 plus VAT (£108.00) per applicant thereafter, towards the cost of obtaining references. If a guarantor is required there will be an additional charge of £90.00 plus VAT (£108.00). All cheques are to be made payable to David Burr.